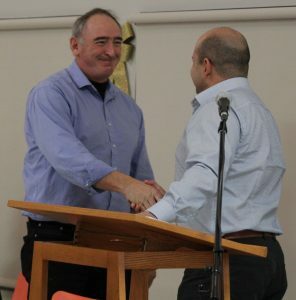 John McCart, président of Syndicat UPA Argenteuil and Carl Péloquin, acting warden of the MRC and mayor of Lachute,. The UPA Argenteuil Syndicate held an information session on agricultural stream maintenance and wetland management in conjunction with the MRC d’Argenteuil on December 12. About thirty producers attended the day-long event, along with elected municipal representatives and various professionals. The event is the outgrowth of a UPA/MRC joint technical committee on agriculture, which was created in the spring of this year. Over the course of the day’s proceedings, the MRC representatives repeatedly expressed their desire to collaborate with producers to maintaining streams while respecting the regulations in place. The new provincial law on wetland protection was also discussed. 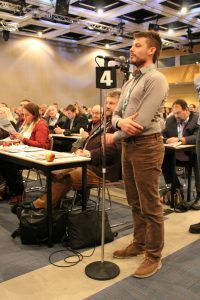 UPA Outaouais-Laurentides Federation President Richard Maheu applauded the MRC’s openness and recognized the quality of the dialogue between the region’s producers and decision makers. In a region where discussions on agricultural streams have historically been few and far between, this partnership represents an opportunity to harmonize agricultural and environmental considerations in an innovative manner. Luc De Grâce, management consultant for the UPA Outaouais-Laurentides Federation, led the workshop. 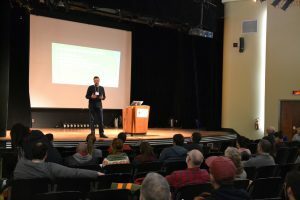 About forty people—including farmers, stakeholders, and others interested in urban agriculture—attended the Gérer son entreprise agricole en milieu urbain (Managing Your Farm Business in the City) workshop on December 7 at the Montreal Botanical Garden. Luc De Grâce, who works as a management consultant for the UPA Outaouais-Laurentides Federation, led the workshop as part of the Urban Agriculture Meetups, organized by the Alternatives organization. The UPA’s participation in this day-long event grew out of an initiative that began in September to form closer ties with Montreal-based farmers. 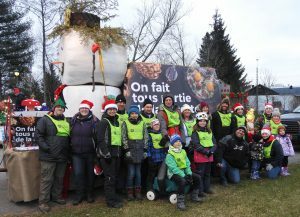 About thirty directors and family members from the UPA Basses-Laurentides Syndicate attended the Santa Claus parade in Sainte-Sophie on December 9. 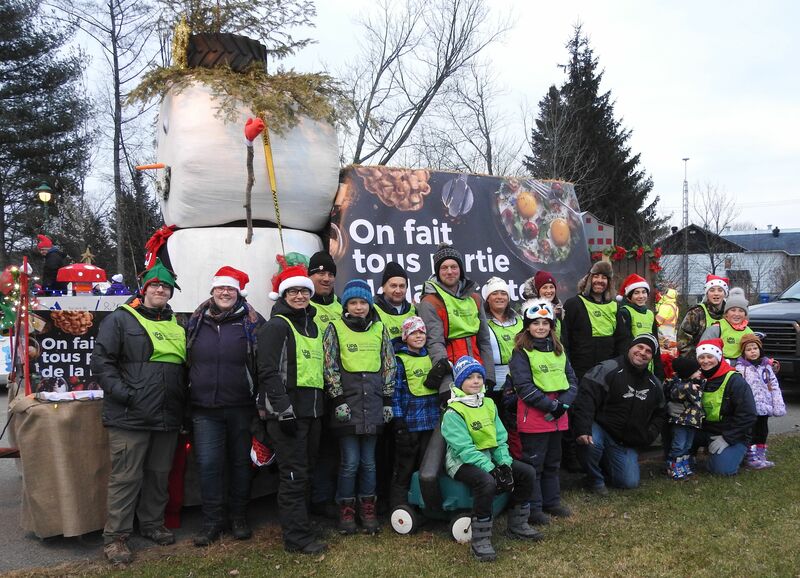 The UPA-themed float was also used on November 26 to welcome Santa’s arrival in Blainville. The parades, which provide a means for farmers to be involved in their communities and promote their profession, have become a regular occurrence for the syndicate in the lead-up to the holiday season.